Ultimate Window Tint has Arrived! The Ultimate Window Tint has Arrived! The perfect blend of Nano-Carbon and Nano-Ceramic has finally been achieved and we have it! No longer are your choices limited to only a few options. We believe that our clients want the absolute best window film that is available on their vehicles. If there is a product that meets or exceeds their expectations in these areas, rest assured we will find it. We are always looking to offer the very best technology and we routinely scour the industry to provide the optimum in protection from the damaging rays of the sun. Until very recently, Ceramic film was the only choice. Competing Brand IR Film with BAD Low Angle Haze. Windows Appear Dirty All the Time! Over the years, High Heat Rejection has been obtained by many of our competitors films - but they have a fatal flaw. 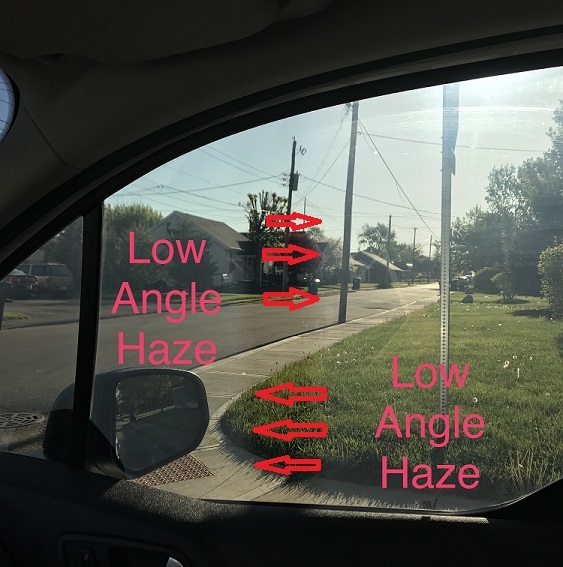 Carbon and Ceramic particles have a tendency to "clump" together when they are tightly packed into window film, creating an undesirable effect known as "low angle haze" which causes the glass to look "milky" or foggy" when applied to the glass. This extreme "hazing" effect is not only undesirable, but can be a hazard to safe driving. Because of this, Carmeltint.com has been very slow to offer a High Heat Rejecting IR Film (with any performance over 85% IR rejection) because we only want to offer the very best products for our clients. The Ultimate In Heat Rejection - Available for 2018!!" For the longest time the only choices available for protection from the sun's intense rays was Nano-Carbon, or Nano-Ceramic window film. These films are awesome in their own right, and we have installed several thousand feet on our clients' vehicles. However, we are continually trying to be on the cutting edge of technology when it comes to providing the BEST experience for our clients. 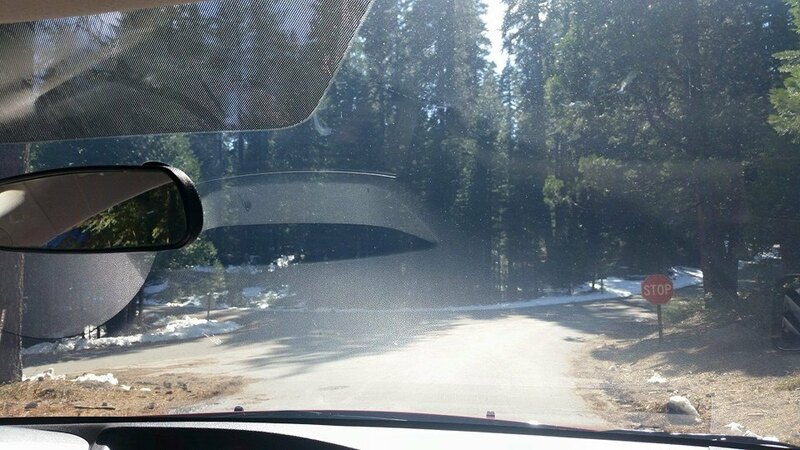 So, we are always scouring the industry to bring you only the most reputable manufactures of window tint with the best performance numbers and the best warranties. Now we believe we have done it again! The Ultimate Protection from the sun is here and we have it! A New Hybrid Film Has Emerged - and WE have it! The Ultimate Window Tint has eluded manufactures for decades because many thought it impossible to produce reliably and cost effectively. During the last decade, chemist and scientist alike have been working to "merge" both Nano-Carbon and Nano-Ceramic in an attempt to combine the benefits of both technologies while creating a film with the highest HEAT REJECTING properties. This combination of a Nano-Carbon and a Nano-Ceramic lowers the overall TSET or "Total Solar Energy Transmitted" and definitely makes our newest window film the Ultimate Window Tint on the market today! 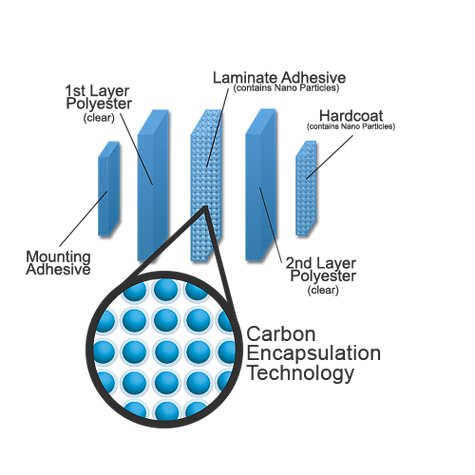 Using a proprietary process of micro-encapsulation, our Nano-Carbon/Ceramic film rejects the most amount of IR while maintaining an extremely clear appearance. After 2 and 1/2 years of product development and research our new 98% IR Rejecting Ultimate Window Tint has arrived starting in 2018! We are the first in the Indianapolis area to offer it, and believe it will overtake our competitors' films resulting in better overall satisfaction and comfort for those who choose it for their vehicle. This new Hybrid film is (what we believe) the absolute ultimate window tint available. It is a true "HYPER-FILM" in that it out performs most films on the market today. It is also less expensive than competing films with a similar IR rejection rate. This is a question that comes up regularly and we understand the concern our clients may have over WHO actually makes this amazing technology. However, due to confidentiality agreements we cannot reveal the actual parent company and manufacture while still maintaining our relationship with them. Suffice it to say that our supplier and manufacture are HEAVILY INVESTED in Nano technology, are a leading supplier of smartphone touch screens, LCD/LED television screens featuring Ultra HD and 4K HD screens where the key component is Nano tech, and are pioneers in the industry. They are a Fortune 500 company and publicly traded. We trust them with our reputation and with our client relationships. We understand, you might be thinking that we could be just "blowing smoke" about how serious we are in taking care of you and your car. So, how do you know we are what we say we are? Click anywhere in this box and read what our clients say about us! 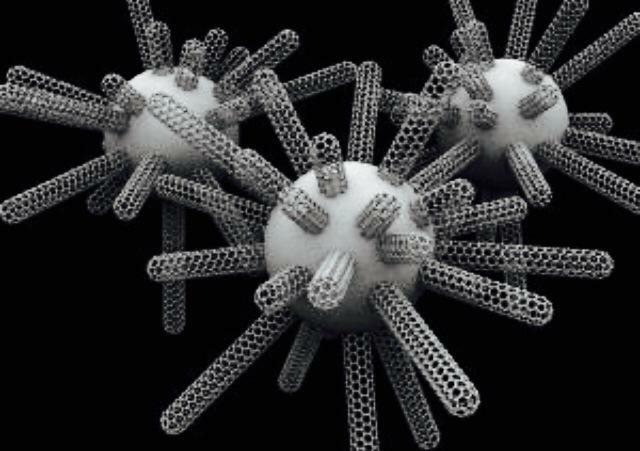 Actually, not that much more than our Nano-Ceramic. For about $150 more than our current Nano-Ceramic film, you can have this amazing new window film and enjoy the best our industry has to offer! So, if the highest heat rejection from the BEST window film is what you are looking for, our Ultra Nano IR 98% film is the Ultimate Window Tint for you! 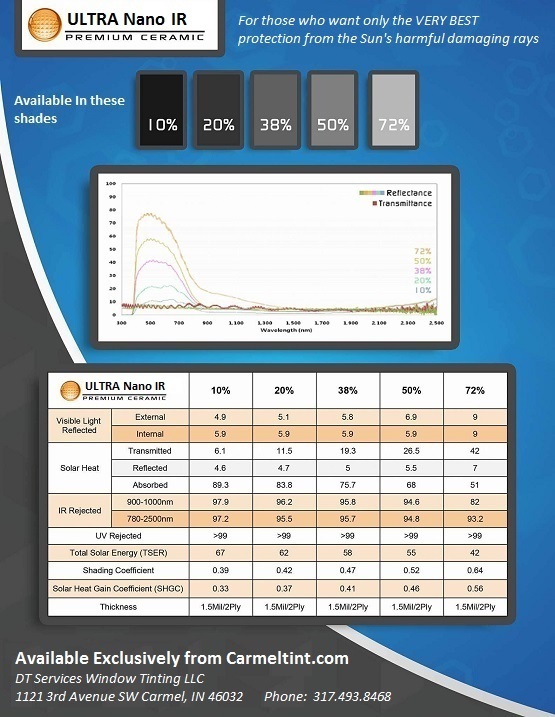 Click here for prices and look for "Ultra Nano IR 98% Ceramic Film"
Our Nano-Ceramic films do not suffer from "low angle haze" because the ceramic particles are much smaller to begin with and are not attracted to each other the way carbon particles are. Nano-Ceramic films used to be the best at blocking out IR until recently. Most of our clients LOVE the performance of these films. We have been very successful with these films and even have them on our own personal vehicles. 80% of our current and past clients swear by this High Heat Rejecting Film, making it our best seller. However, we expect that to change because of our new ULTRA Nano 98% IR window film.